I love Becca and their whole makeup philosophy and the way their makeup is made to blend with the skin rather than just sit on top. I’ve got quite a few of their products and love them all and that’s why I was so excited when I found out that the cult favourite Beach Tint was a free gift with this month’s issue of Madison. I went out searching for the two colours available like many other Aussie beauty addicts and I came home with my spoils. Unfortunately I was less than impressed when I started playing around with these. First off they are so tiny! I wouldn’t have been surprised if someone had told me these were sample sizes, but no these are full sized products! 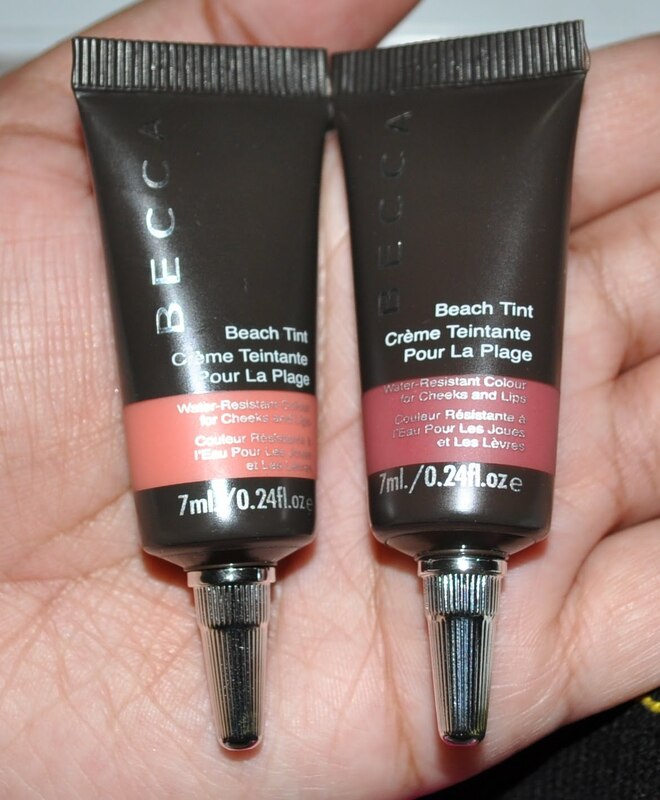 The Becca Beach Tint in Watermelon is on the left and in Grapefruit on the right. You can see why I don’t really like them on me right? I can get them to show up if I pat these on but I won’t be repurchasing because I don’t think they’re worth the $42 they retail for. 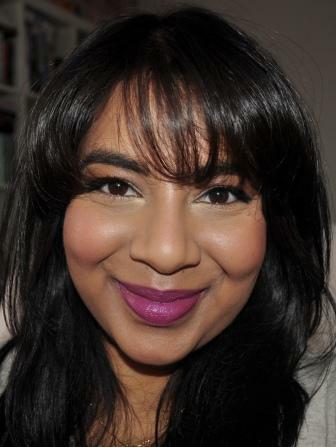 If you’re of my skin tone or darker or just want a more pigmented blush then I’d recommend the Make Up For Ever HD blushes (original review here). I have them in shade number 3-Truth or Dare and shade number 12- First Kiss. Look how pigmented they are and this is when I use the exact same amount of product as the Becca Beach Tint swatches above! The MUFE Blushes contain a similar amount of product to the Becca blushes (10ml vs 7ml) but for 3ml of extra product and the crazy intense pigmentation, I’d rather pay the $45 the HD blushes will run you $45 in Australia than purchase the beach tints. This isn’t really meant to be a negative review because I like the Beach Tints and the colours they’re available in and I do love the concept but I just don’t like them on my skin tone. I know these are meant to be wearable on the lips as well so I’m going to try them out and see if I like them as lip tints but otherwise these will become something I layer under my powder blushes. If you haven’t tried these yet and you live in Australia then hurry to your closest supermarket or newsagents and pick up a copy of this months Madison because it’ll save you $30. So what do you think? 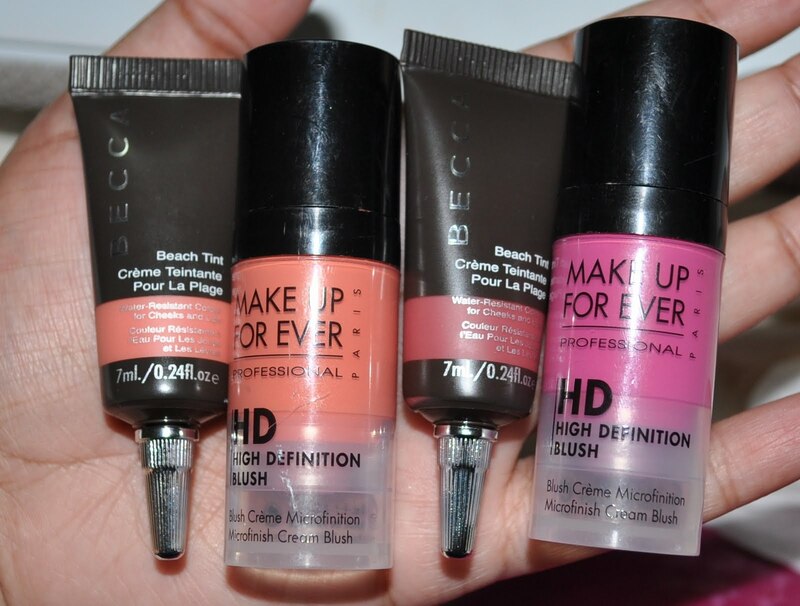 Have you tried the Becca Beach Tints? Do you think they deserve to be a cult favourite or are they not worth the hype? Leave me a comment below! Aseya: they're definitely subtle but i just think they're a little too subtle you know? Plus I do have to pack on a fair amount of product but they do feel lovely on the skin and blend in really nicely without streaking or looking cakey.I was surprised when I saw these were being offered! We do get some pretty decent stuff free with mags down here but they're usually mascara's or lip glosses so this was a pleasant surprise!Dempss01: I'm sure it'll look great on you and I do think it's perfect for the Aussie weather/lifestyle 🙂 I wish there was a happy medium between the MUFE blushes and the Becca ones because I find the Beach tints too sheer but sometimes the MUFE one's are just a little too pigmented. Lol I think I'm just too fussy! I got the Watermelon freebie and loved it, I have the MUFE HD blush in number 4 I think and while it is good I find it more difficult to work with in comparison to the Becca.